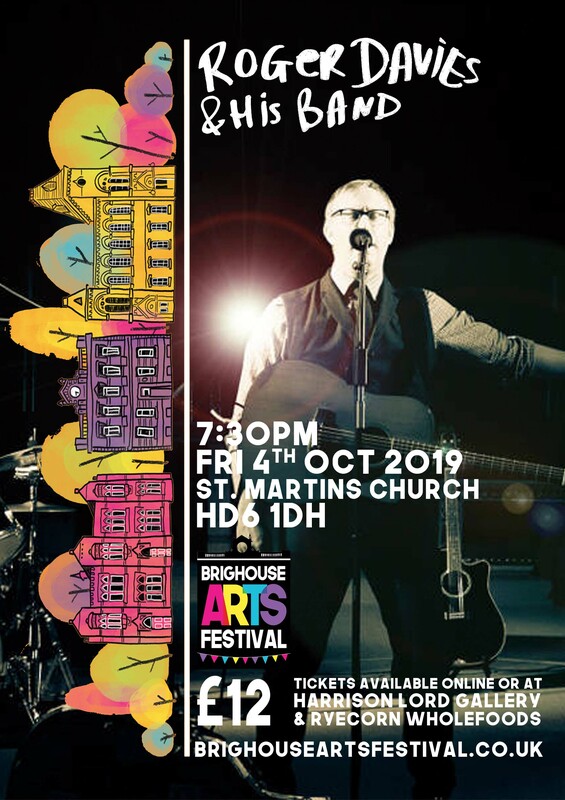 ROGER DAVIES & HIS BAND IN CONCERT at the Brighouse Arts Festival 2019. Roger is Brighouse's most famous current musician. Roger Davies regularly feature on BBC Radio and has sold out at Square Chapel Halifax, Victoria Theatre Halifax and recently toured alongside Fairport Convention with a full UK tour.